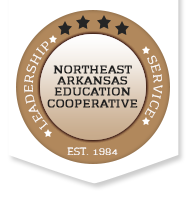 The Northeast Arkansas Education Coooperative, along with all other Education Cooperatives in the state, uses ESCWorks (pronounced E-S-C Works) as their Professional Development registration page. Once you have set up an account on ESCWorks you will always have that account. When you have changes such as new email address or moving to another district, your account on ESCWorks will need to be updated to reflect your new information. The ESCWorks system generates an email to you when you receive credit for a training. There will be times when you do not receive this email (may possibly go to Spam). Your credits will always stay with your account and certificates can be accessed at any time by logging in and clicking on “registration/certificate” on the left side-bar.